Sharepoint alternatives. 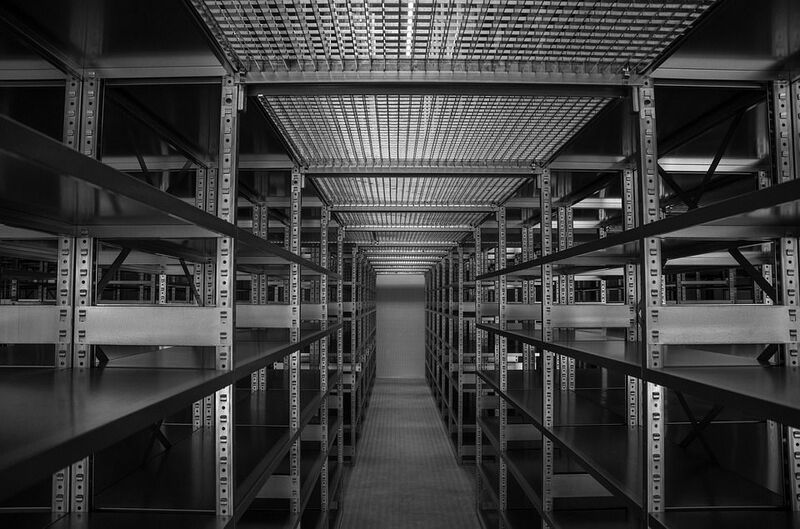 Even though Sharepoint holds a large user base, it is not very suitable for small businesses. The main reason being the expensive cost of installation and the complex user interface. Sharepoint, a Microsoft product that was launched in the year 2001, is a web-based application software. Sharepoint is mainly deployed to manage your document and storage system that is integrated with Microsoft Office. Microsoft Sharepoint is a content management application with plenty of useful tools and features. Even though Sharepoint holds a large user base, it is not very suitable for small businesses. The main reason being the expensive cost of installation and the complex user interface. However, you can try any of these top alternatives that will make your business more structured. The free version of Bitrix24 gives you access to 12 users and one admin. The software comes with plenty of features and is mainly targeted at small and medium-sized business. It is a highly secured intranet solution that enables effective collaboration and business process management. Bitrix24 has a well secured and centralized repository where you can move your data from network local drivers. 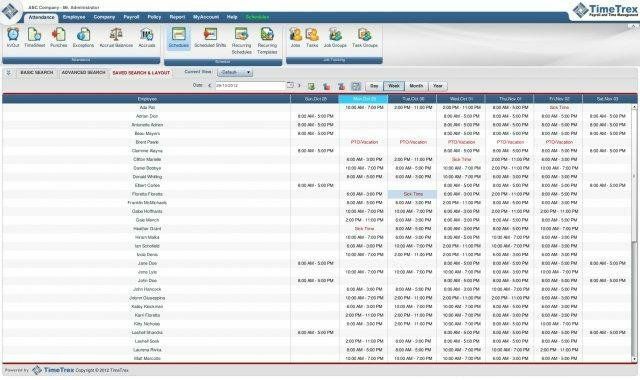 It is a set of well-established business management tools that offers a bundle of features such as Customer Relationship Management and Document Management. Time management tool is also available in this software that will allow the user to manage their daily tasks. 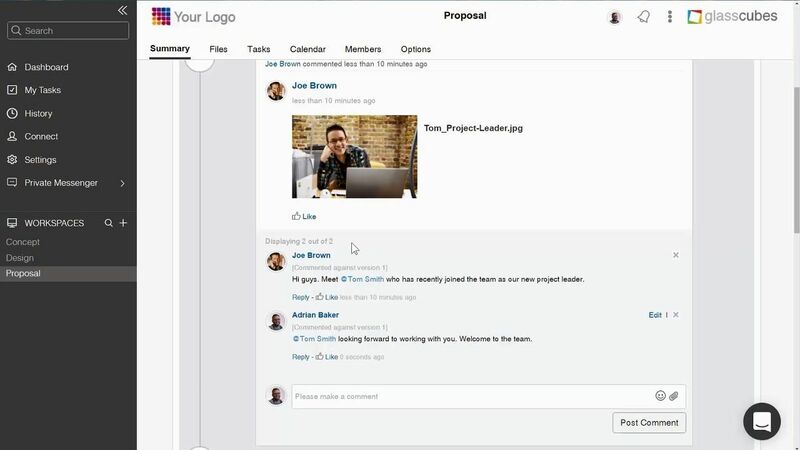 Samepage is a collaboration software that suits well for the businesses of all sizes. Internal dealings of an enterprise can be centralized by installing Samepage which allows multiple of users to access its features. The user interface of the software is very well designed which allows you to use the application effectively. 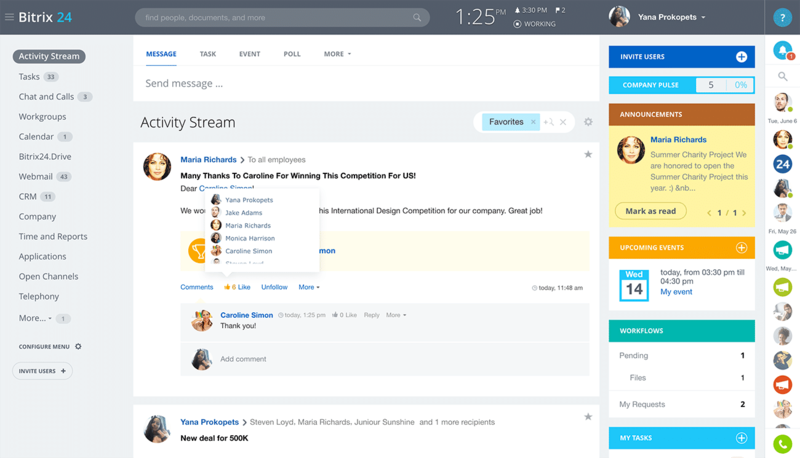 Moreover, Samepage allows collaborative management by which your files can be shared and synchronized on servers better than SharePoint. It allows the unlimited number of users but only a limited number of features along with limited storage space in the free version. G Suite is a cloud-based service solution developed by Google that can be used for various business processes. It has exclusive functionalities that allow you to store your files in its cloud storage called 'Drive'. This software allows you to store your files in a very secure way by enabling password protection along with an end-to-end encryption feature. 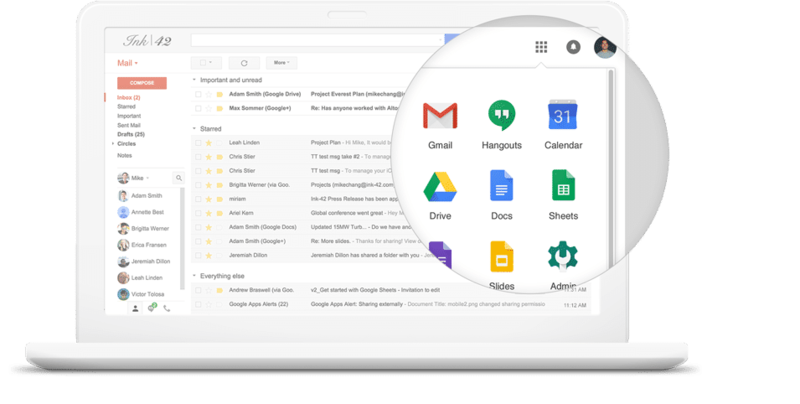 G Suite is an online application that restricts the user from accessing the file when you are offline but if you have stable internet access then this might be the best alternative to Sharepoint. GlassCubes is a well-secured collaboration platform exclusively launched for small and medium business houses. This software has tools that allow file sharing and project management on an online platform. 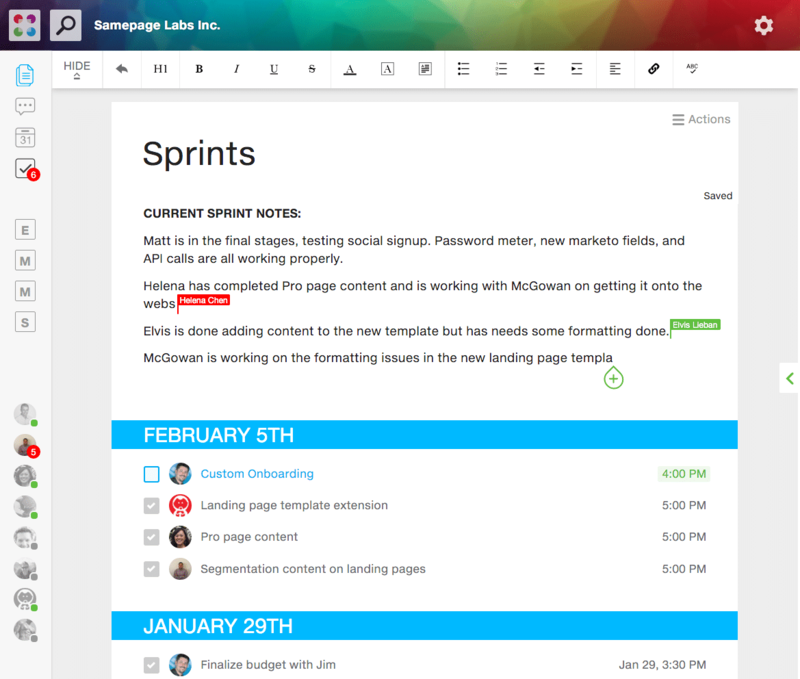 Along with this, GlassCubes also allows you to track progress and coordinate with projects by which tasks can be accomplished on time. It allows you to group all the users together in an online workspace by which file sharing becomes very much easy. 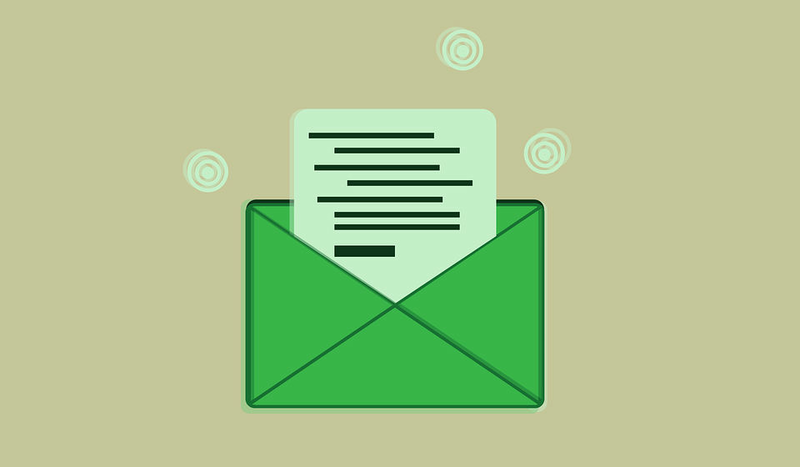 Likewise, email and text message alerts can be activated that notifies you about the deadline of a task. Easy implementation and a variety of features make this software a top alternative to Sharepoint. 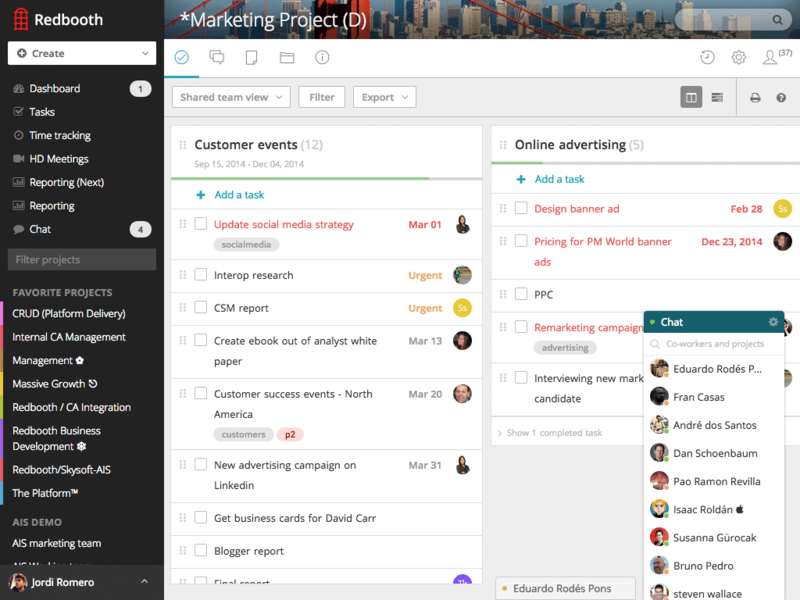 Redbooth is a project management software that is widely used by over 750,000 users across the globe. This software is available with a free version and is also compatible with mobile devices. Redbooth software can be integrated with Gmail and Google Drive and will be very much useful for small businesses. The free version of Redbooth gives you access to only two workplaces and 2GB of storage space. However, its default templates and mobile compatibility make it a good option that can be incorporated to support your business. All of the above-mentioned alternatives to Sharepoint are cost efficient as well as easy to install. Unlike SharePoint, which is expensive, you can opt for one of them that will provide you with a bundle of useful features and collaboration tools.